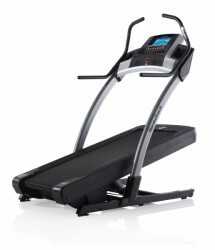 The company Nordic Track has produced high-quality fitness units since more than 25 years. Nordic Track treadmills benefit from this experience of many years which has been collected during this time. 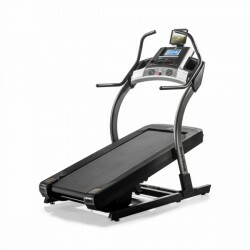 Treadmills are equiped with a number of technical innovations to provide variation while exercising with a treadmill. Walking and jogging are possible in different speeds and even inclines can be changed. Treadmills are perfect for workouts at home. Your treadmill workout is independent of the weather ! 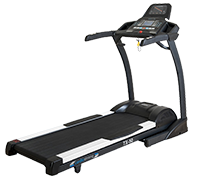 The Nordic Track treadmill T12 si is equiped with a special absorption system where you can set individually the degree of absorption of the treadmill. 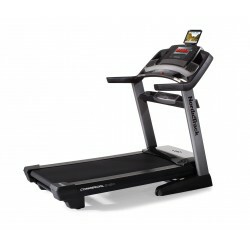 Running on asphalt, sand ways or forest soils can be imitated with the Nordic Track treadmill T12 si at home. Because the absorption of a Nordictrack treadmill can be adapted to your weight, a joint-gentle treadmill workout is possible.